The Kingdom of Tonga is an archipelago of 176 islands located in the South Pacific Ocean. Captain James Cook explored Tonga in 1773 and was so impressed with their local hospitality he called them the ‘Friendly Islands’. 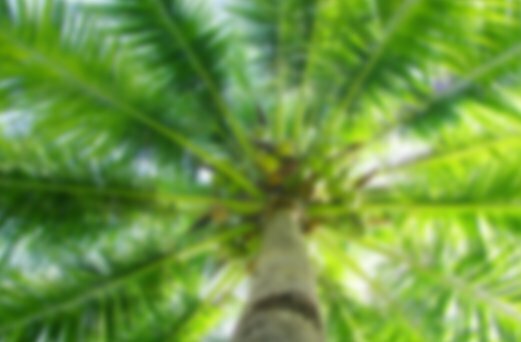 Medical volunteering in Tonga is a unique experience. The main hospital and a primary health care clinic will welcome you to share your skills and experience with the local staff. As a Polynesian monarchy, the Tongans have proudly retained their local culture and traditions. Tongan arts and handicrafts, including bone and wood carving, basket making and fine weaving, have been passed down through the generations. In more recent times, Tongans have embraced Christianity and a visit to one of the many churches on Sunday is a special and memorable occasion. With warm weather all year round, Tonga makes an ideal destination to enjoy a jungle adventure, stunning landscapes and pristine beaches. While medical volunteering in Tonga, you will need an open mind, a level of resourcefulness, patience, compassion, good-humour and a flexible attitude to be able to make-do and improvise. You will be provided with an information booklet and a clinic manual and there is a local nurse in the clinic to assist you. We arrange the local medical registration which may take up to 1 month to complete and therefore please apply at least 2 months prior to departure! The Village Mission Clinic is a well-respected general family medicine practice, the only GP practice on the main island, and has been operating since 1984. The clinic operates on a not-for-profit basis and aims to provide high quality holistic health care to the local people at a low cost. 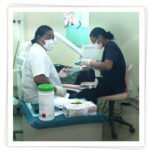 The clinic is centrally located on the main road in Nukuálofa (the capital of Tonga) and has two consultation rooms and one treatment room. There is a pharmacy on site. Case work covers the whole spectrum of health problems and there are 20-30 patients a day. Chronic diseases such as diabetes and ischaemic heart disease are major issues in Tonga and the clinic is well positioned to assist in research and prevention. The clinic is well known for expertise in dermatology and there is a weekly diabetes clinic. The clinic maintains a good relationship with the Tongan Ministry of Health and the clinic doctors are encouraged to participate in the weekly hospital meetings. GPs are needed for short or long term volunteer stints at the Clinic and should be able to work independently of other doctors, be willing to encourage and mentor the local staff and be open to understanding the local traditional culture and Christian values. The clinic is open 8.30 am – 5 pm Monday to Friday and 10 am – 1.30 pm on Saturday. Although there is usually plenty of work to do, the pace is slower than what you may be used to and therefore may allow plenty of time and energy to explore the area. Visit for just one or two weeks – and then make it an annual working holiday! Or better, stay for 3 or more months. It is more rewarding when you have time to understand the health care system, and get to know local customs and people. And of course, from the clinic’s perspective, a longer stay improves continuity of care. Non-medical placements are also available including: assisting at a centre for people with disabilities, remedial reading at the local English language school, children’s sporting activities and animal welfare. 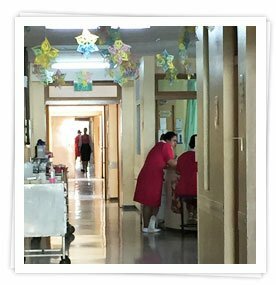 The Vaiola Hospital is based in the capital city of Nuku’alofa and has 200 beds, 52 doctors and around 245 nurses. Chronic diseases such as diabetes and ischaemic heart disease are major issues in Tonga. The hospital welcomes professionals who can help treat patients – and also help train, develop and mentor local medical professionals and students. Join the ward rounds and doctors’ meetings to discuss cases and undertake some formal and informal coaching. The main departments include Surgical, ED, O&G, Paediatrics, Mental Health and General Medicine. There are also Community Outreach Programs (with specific focus on diabetes, dental, medical or health promotion) involving bi-weekly visits to remote villages, homes and health centres to provide healthcare to the local people. Students are also welcome to do their medical electives and international work experience in medical, dental, physio or nursing. Students can join the ward rounds, doctors’ meetings, rotate through the various departments and join an outreach program. The hours are 8.30 am – 4.30 pm Monday to Friday. Although there is usually plenty of work to do, the pace is slower than what you may anticipate and therefore allow plenty of time and energy to explore the environment. It is more rewarding when you have time to understand the health care system, and get to know local customs and people. As with all volunteering projects you will need an open mind, a level of resourcefulness, patience, compassion, good-humour and a flexible attitude to be able to get the most out of your placement. Placement, pre-departure support and information pack. You will fly into Nuku‘alofa International Airport. You will be met on arrival and transferred to your accommodation. 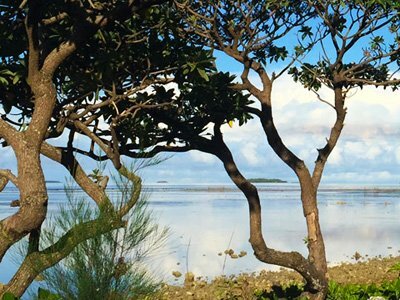 Tonga’s climate is warm, tropical and welcoming. Temperatures are warm all year round and while it is hot in summer, it rarely reaches above 35°C . Tropical rains fall from December through February, coinciding with the warmest summer months. The winter temperatures (April to September) are only slightly cooler than summer temperatures (November to February). Modest dress is necessary for both Tongans and visitors. Allowances are made for tourists at beaches while many Tongans remain conservatively covered while swimming. Your medical voluntary work may be eligible for CPD points with your relevant college. We will send you a copy of the guiding information with your travel documents. We recommend that volunteers advise their professional indemnity provider of their medical volunteering in Tonga in advance of travel. Processing of your Volunteer Application Form can be initiated once we have received your deposit. Due with your Application Form is $495.00 per person. This deposit is non-refundable once your placement is confirmed. FINAL PAYMENT is due two months prior to departure or on receipt of invoice if travelling in less than two months. Payments by Visa and Mastercard will incur a 1.5% fee and American Express 3.0%. Short term Volunteers (less than one month) can obtain a visitor visa on arrival and this may be extendable after your arrival. Longer term volunteers may need an employment visa prior to arrival in Tonga. Medical students and medical practitioners also require temporary medical registration and we will arrange this for you – the process may take a month and therefore please apply well in advance. Please ensure that your passport expires at least 6 months after you return home and that you have some spare blank pages in your passport. Please refer to the Conditions section on the Application Form. Please note that all costs are subject to change due to increases in taxes, hotel and volunteer price increases, as well as currency adjustments.